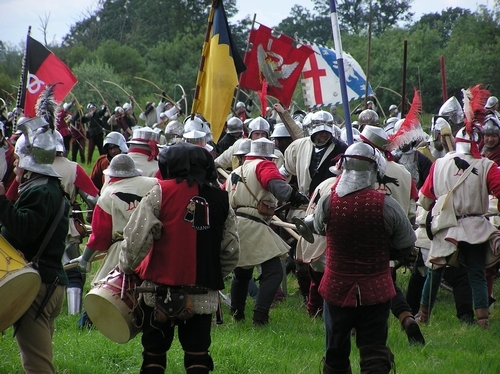 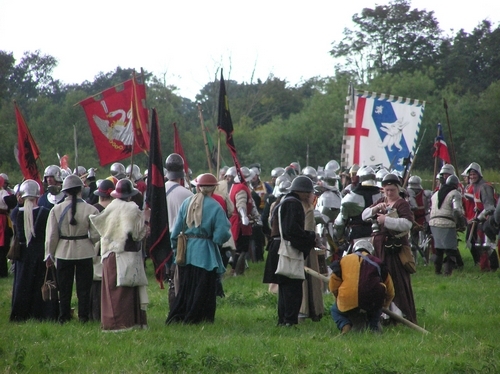 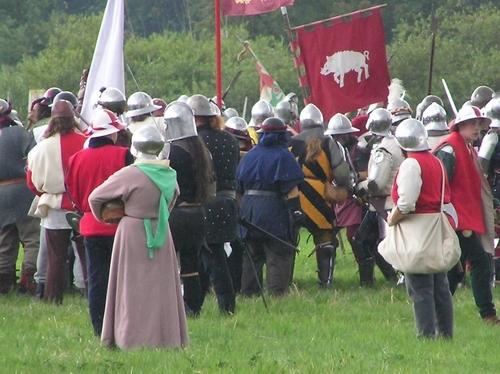 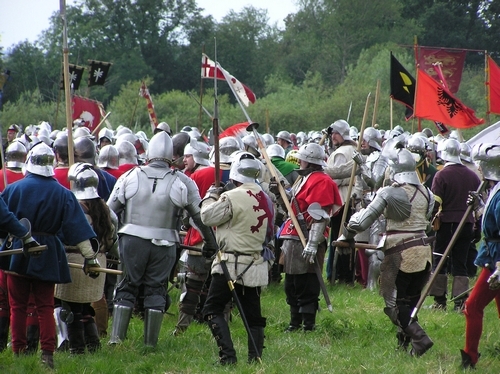 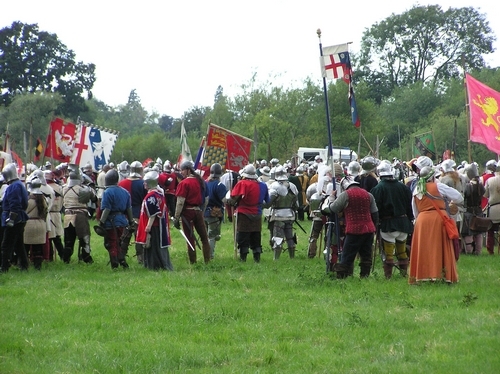 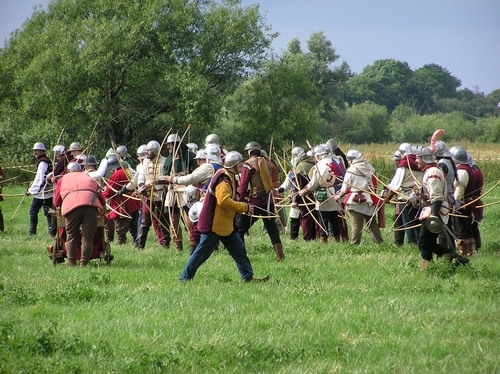 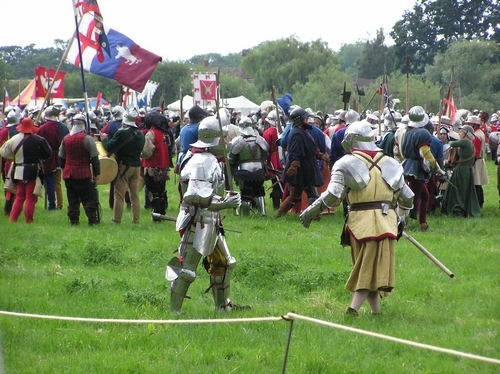 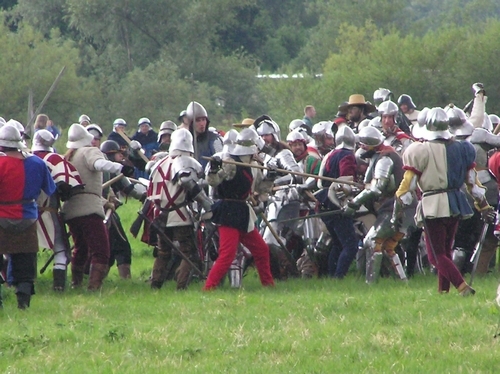 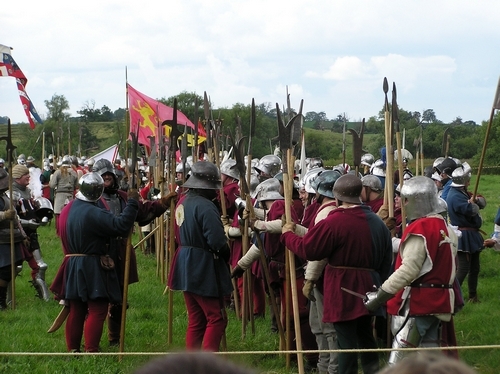 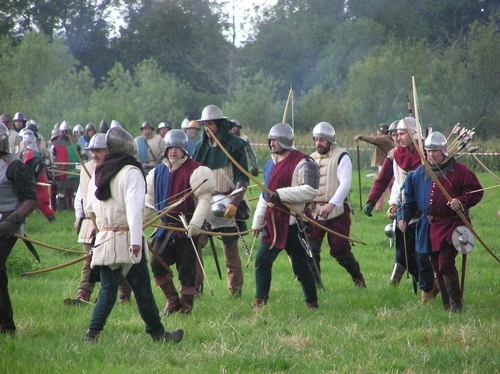 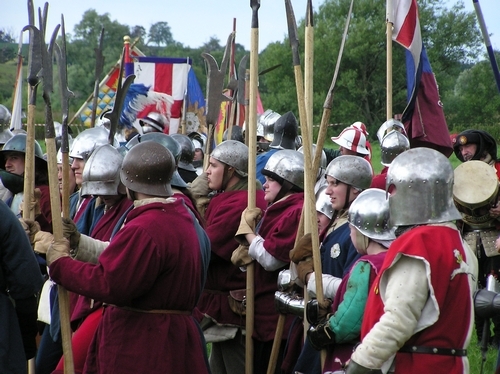 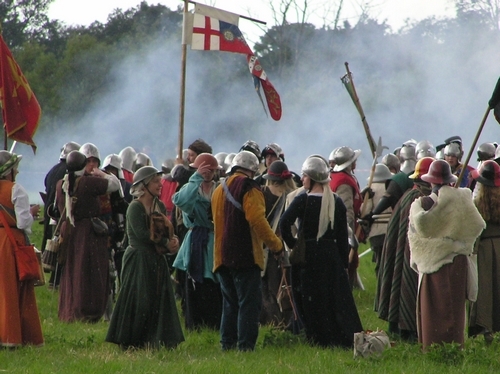 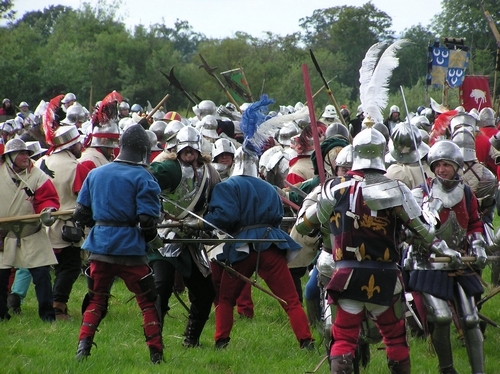 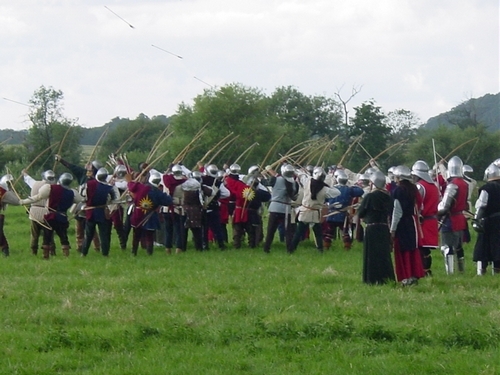 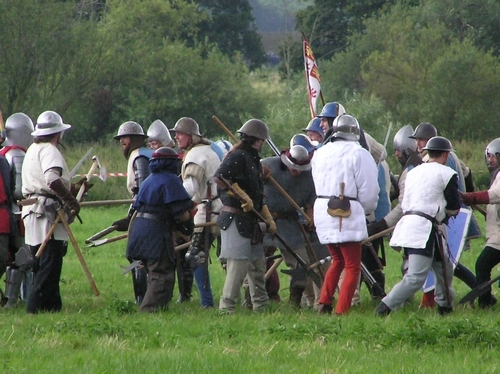 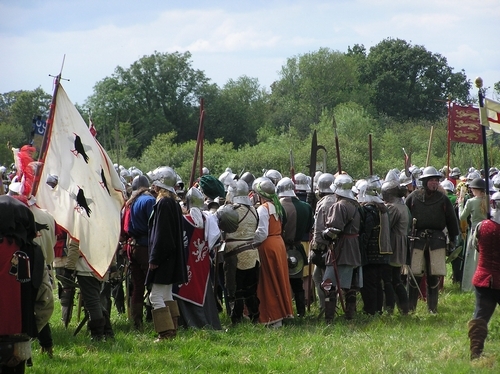 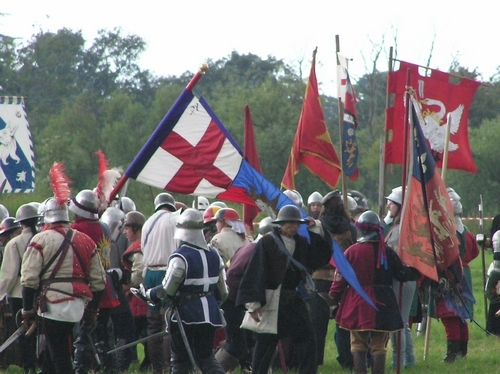 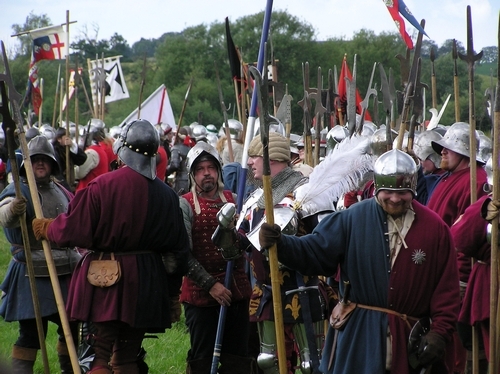 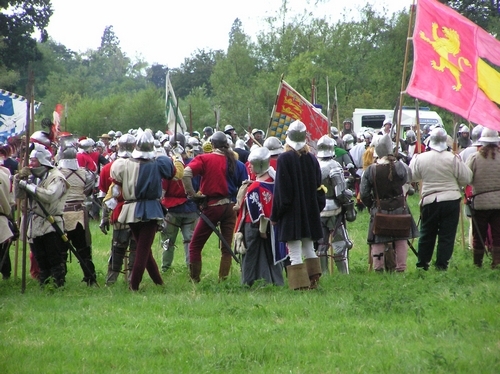 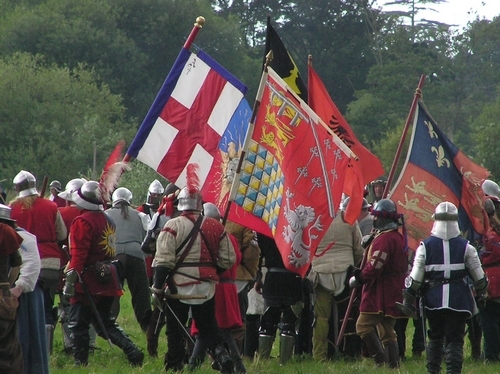 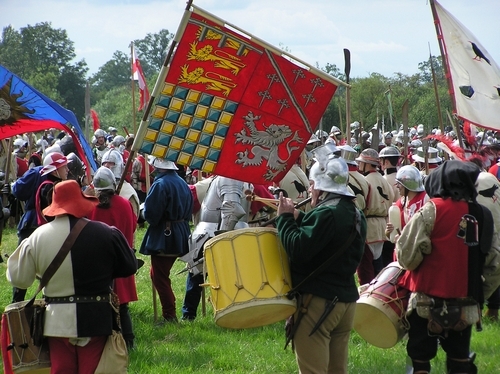 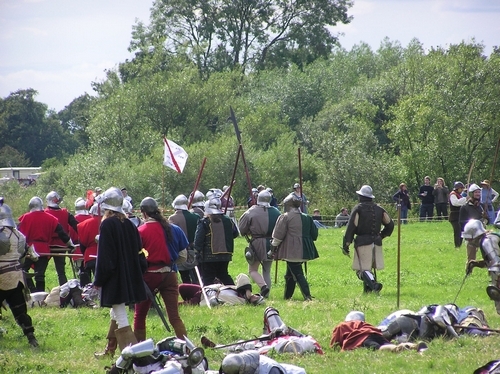 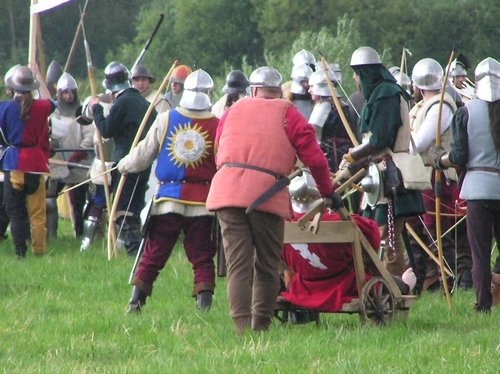 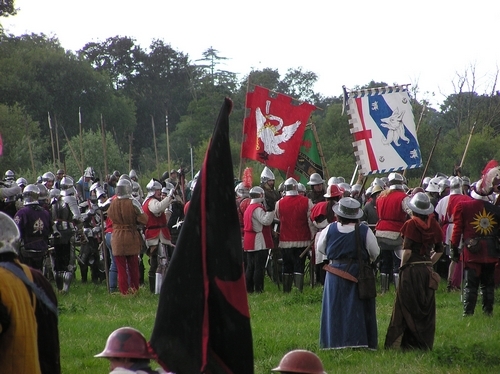 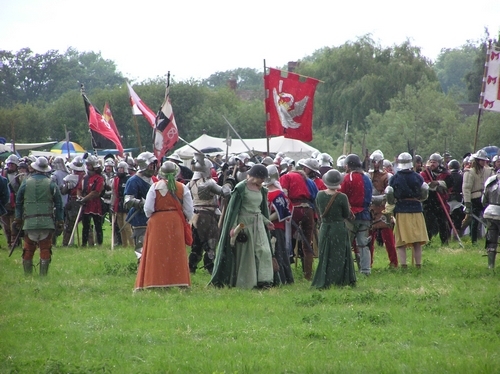 Battle scenes from Saturday's re-enactment. 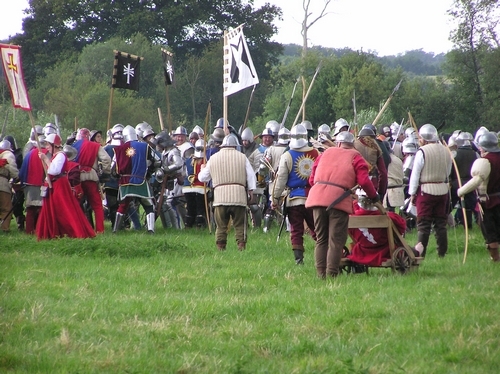 Casualties from the battle re-enactment. 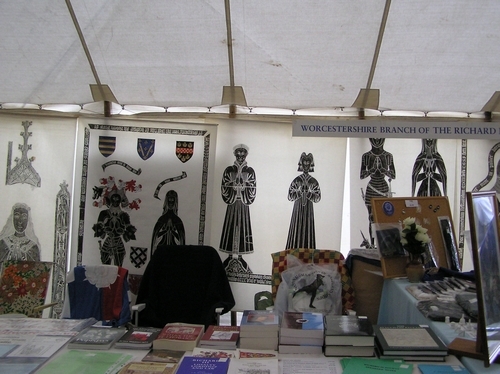 The Worcestershire Branch's display in the main marquee, thanks to Steve Goodchild, Chairman of Tewkesbury Battlefield Society. 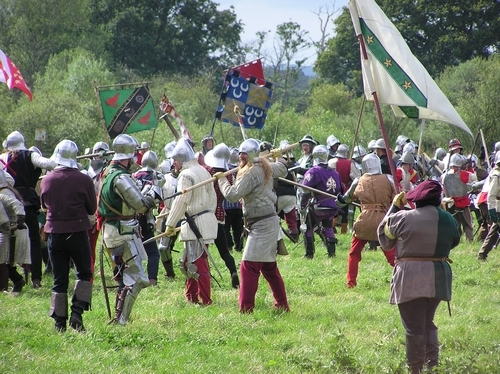 The nine photographs below were taken by American Branch member Dave Luitweiler. 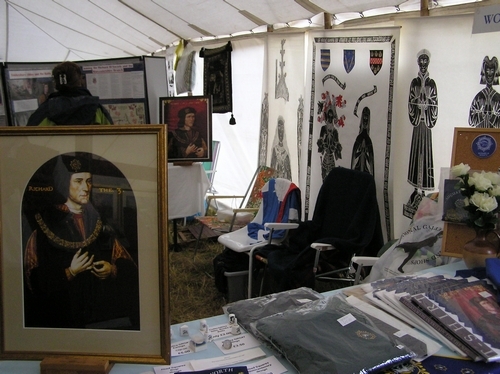 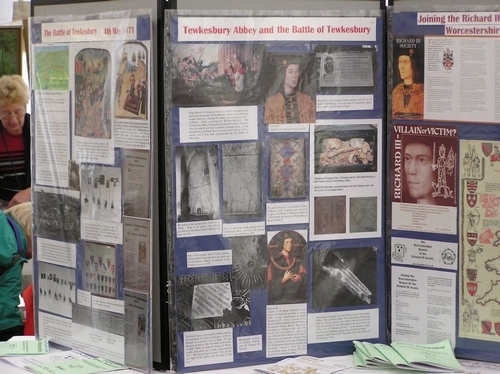 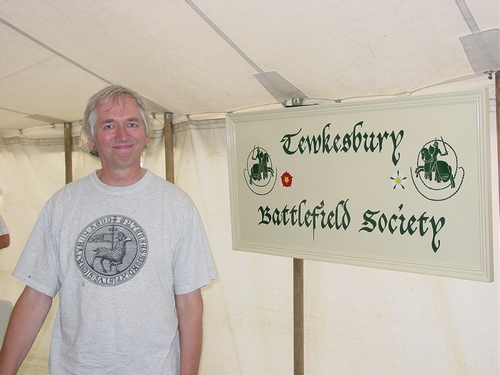 Steve Goodchild, Chairman of the Tewkesbury Battlefield Society, on their stall in the main marquee. 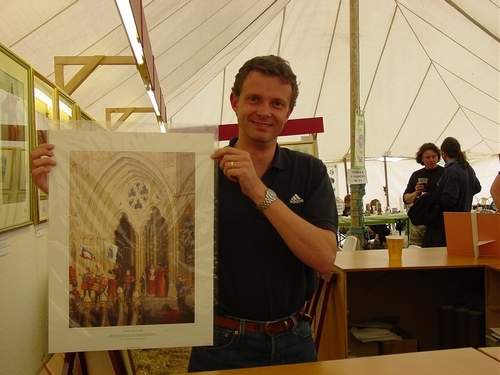 Graham Turner proudly displaying a print of one of his latest paintings. 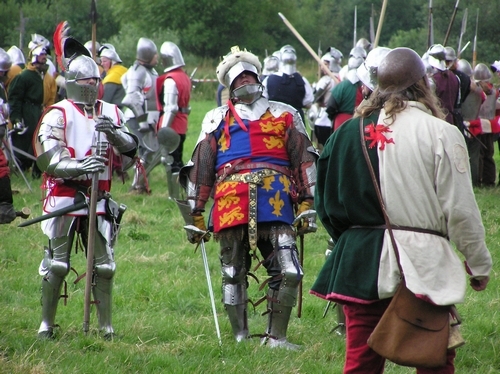 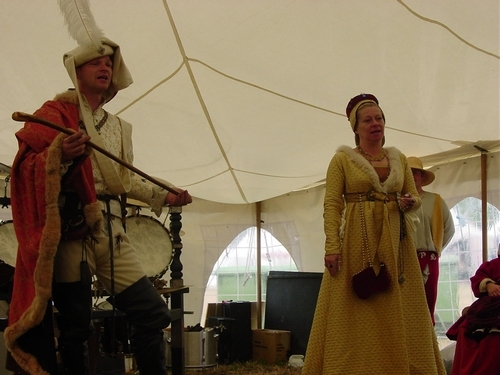 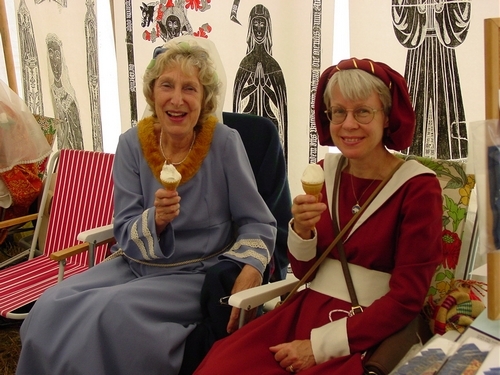 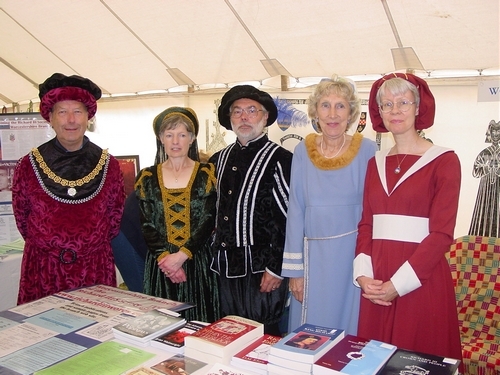 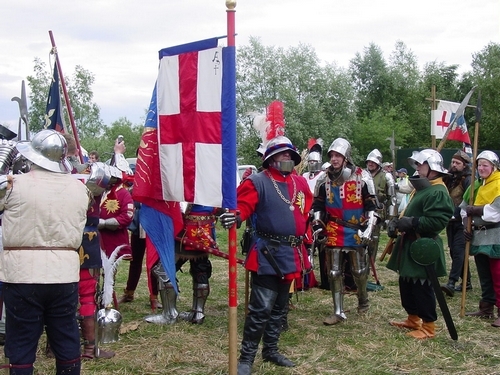 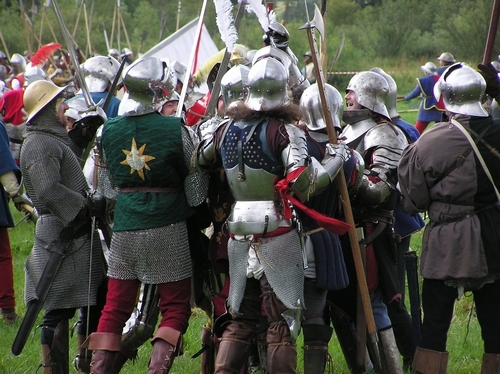 A fashion parade of medieval costumes. 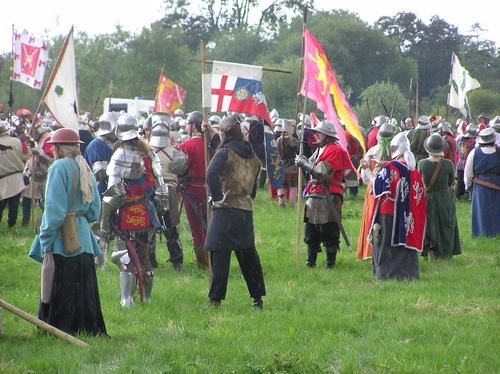 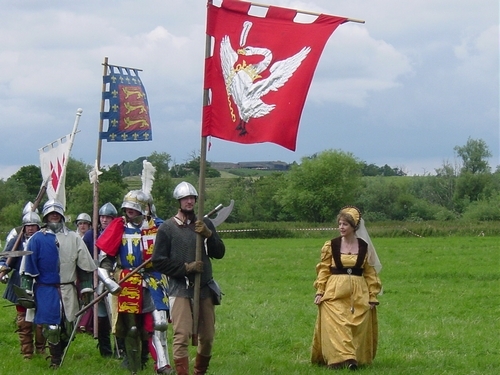 Margaret of Anjou reviewing her troops. 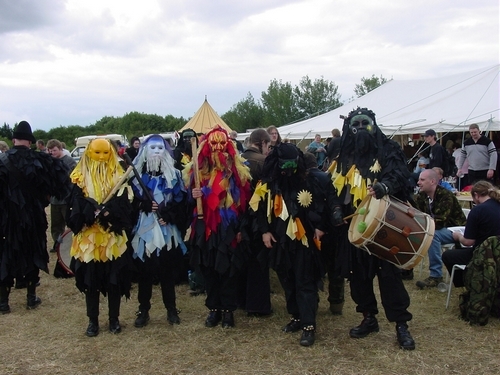 Morris dancers Mythago from West Sussex.